In recognition of April being Volunteer Appreciation Month, Arts of Life, a Chicago-based non-profit that provides artists with intellectual and developmental disabilities a collective space to expand their practice and strengthen their leadership, will launch a month-long exhibit featuring the works of their studio volunteers and staff. The annual exhibit, How We Make It, will run from April 26-May 31 at the Circle Contemporary Gallery in Chicago, IL. The community is invited to celebrate the commitment and dedication of Arts of Life volunteers and staff and view their work at the Opening Reception from 5:00-8:00pm on April 26. The exhibition features work in a number of media and showcases the multiple artistic perspectives from the professional artists and skilled teachers who act as mentors to Arts of Life studio artists. The month of April is designated as National Volunteer month and is dedicated to honoring volunteers and encouraging volunteerism. Arts of Life is a 501 C (3) non-profit founded in 2000 to create a working, person-centric artistic community while providing a work environment of equality in Chicago. Today, the community runs two professional art studios and represents more than 60 artists with varying levels of physical and intellectual disabilities. Each studio is 6,000 square feet and includes a community gallery that is open to the public. Circle Contemporary, located at 2010 West Carroll Avenue in Chicago, IL, is a multi-purpose exhibition space that is an extension of the Arts of Life Chicago studio. The gallery aims to showcase a diverse range of creative practices from individuals of all talents and abilities while strengthening the local creative community by providing a space and outlet for artistic inspiration and exploration. Gallery hours are Monday-Friday from 9am-4pm and Saturday from 1-4pm. 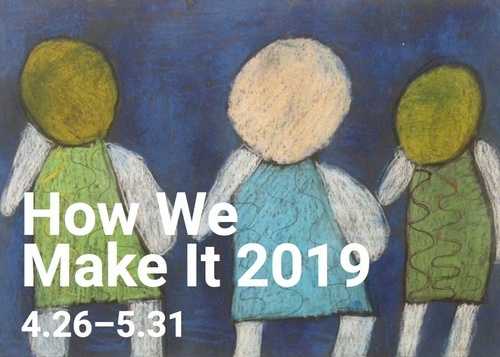 For more information on the exhibition, call (312) 829-2787, visit artsoflife.org or contact Chicago Art Coordinator Ariella Miller at amiller@artsoflife.org.